Oh, what fun we have at our local Bernina dealer, Ann Silva’s Bernina Sewing Center! I taught a two session class on my Rainbow Crow design on two consecutive Saturdays. 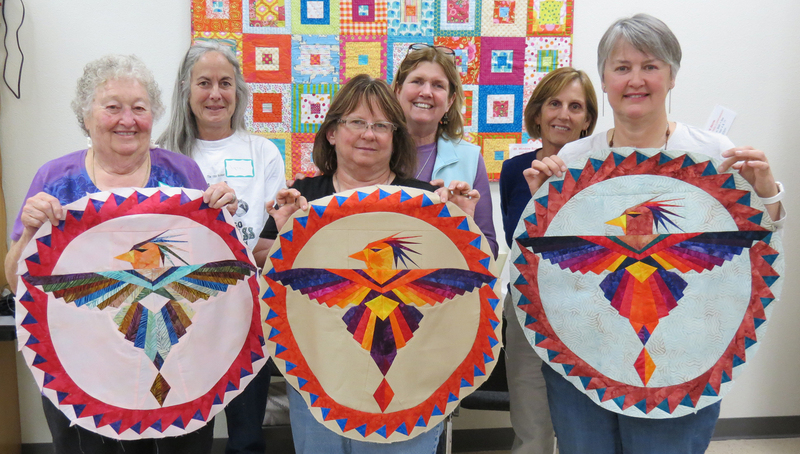 Nine wonderful students joined me, including an 80-year-old quilter! 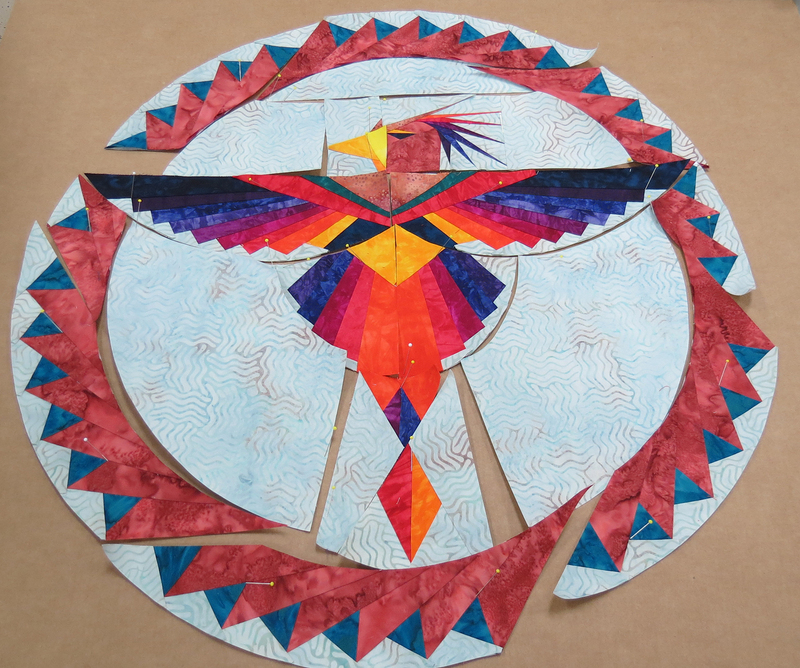 Each was given the pattern, and instruction covered freezer paper foundation piecing and curved seam piecing. At the end of the first class, students went home with some pieces completed and a lot of homework. I worried that it might be too much homework! But . . .
almost everyone returned with all their foundations stitched, or mostly stitched. So we focused on curved seam assembly in the second class. And, look what happened! Didn’t they do great? Check out the Rainbow Crow on the left. 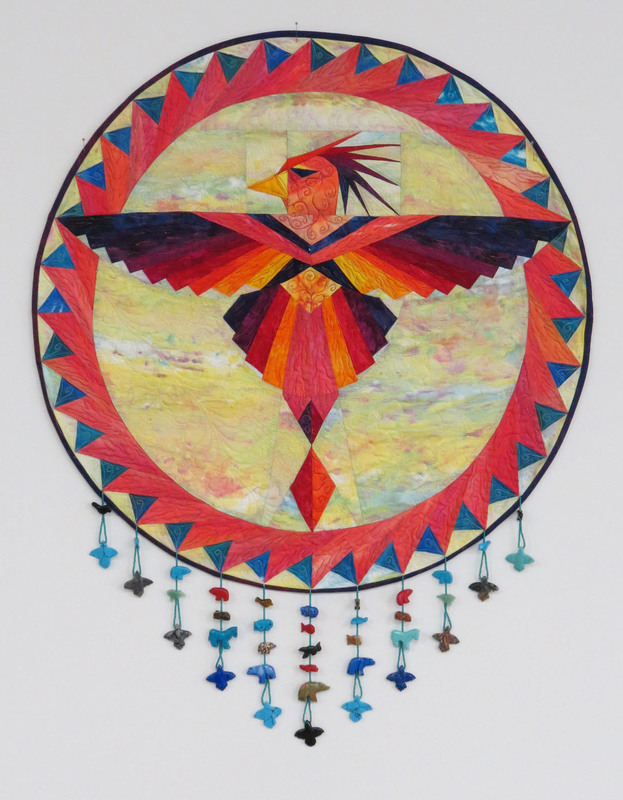 She used this wonderful feather print that made her piece just sing, like the beautiful voice of the Rainbow Crow. 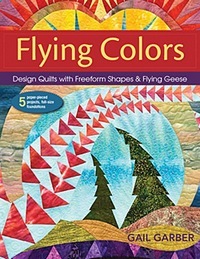 I have proposed to teach this class at International Quilt Festival in 2014. I hope they select this class for me to teach! My students are the BEST!!!! Those are wonderfu! Your great students have a great teacher! My son saw this rainbow crow and wants me to make him two. Where can I get the pattern. It is beautiful. I took a class from you last year in CT.